Bed Bug experts. All aspects of pest control for the home and business. Termite inspections and treatments. We cover all bugs: spiders, fleas, roaches, mice, rats, thousand leggers, ticks, rats, wildlife, ants, wasps, Carpenter bees, Carpenter Ants, Bees, etc. We can handle any pest issue. From 1X services to on-going programs. Funny licensed in NJ, NY, PA. All of my techs are background checked and drug tested. This is my 30th year in the pest industry. Bed bug books author, previous trainer in both NY and NJ. 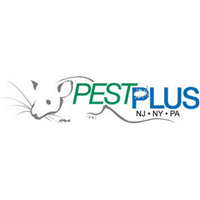 PestPlus is a complete pest control business that operates out of Central NJ and covers Central NJ, Northern NJ, Parts of Philly, NYC, Staten Island and the Bronx. . All our staff is highly trained and equipped to understand and eliminate your pest issues. We stand strongly behind all of our services. On-time, pleasant, professional - Great service. Great Professional Service! I recommend to all my friends and family. Very pleased with pestplus service. Had an infestation of ants which was cleared out quickly. Since then they have regularly done maintainence professionally and thoroughly and we dont have any infestation issues. Always courteous and prompt. Remarkable results and no more critters!! Thank you Pest Plus!! Great company! Have been using them for many years! Service good but my husband found the receipt a couple of days later by the garage door. Technician Andrew arrived on schedule as promised and proceeded to efficiently remove the dead raccoon and treat areas for maggots. Andrew is certainly an asset to the company; he was very professional, considerate and pleasant. I would most definitely recommend PestPlus! I have nothing but a wonderful experience with PestPlus. I called to get service and spoke with Scott over the phone he was very pleasant to speak to asking what issues that I was having. He sent over his technician immediately to walk through my home and diagnosed the problem. We talked about having qaurterly service to keep the problem from happening. Every technician that has entered my home has been pleasant, professional and extremely careing as if it wa s there own home. If you have any pest issues in your home call PestPlus they will take care of your problem. Drew is a pleasure to work with. Knows his job and he cares. Did a good detailed execution. Send him back always. Mike. Very responsive and flexible to our needs. Did what was asked and on-time. Worker showed up when scheduled, was friendly and courteous and did a fantastic job. Felt he went an extra step to ensure I was happy with my service. I will be calling them for future services. I used Pest Plus for a week. They caught the squirrel family living in between my walls. They came by twice a day to check the traps. They caught the father and two babies within the week. After the week, They put mesh on the top of my roof to cover the hole. They also went into my bathroom attic crawl space to check if the family was still there. I had another closet that leads to an attic but I I did not have time to take everything in my closet out so they can check there. They finished their job and told me that they would come back if I heard anything else and that they would definitely come back to check my closet. I was a little skeptical when I hired them. People usually are.But now I would definitely recommend them . They are an honest reliable company. HAVE USED PESTSPLUS FOR SEVERAL YEARS.GREAT SERVICE, REASOBALE RATES. Associate was prompt and knowledgeable . He explained the treatment he planned to utilize and the time frame it would take to be completely effective . I would recommend PESTPLUS. Pest Plus does an excellent job and are always available when you need them. I would not hesitate to use their services. We used Pest Plus' heat treatment for bed bugs. Our rental apartment had an extreme infestation. Pest Plus got rid of the bugs with one treatment, as was verified by sniff dogs and visual inspections. We greatly appreciated the technician's patience in helping us deal with difficult tenants in order to get the job completed. The value of the service was worth the price that we paid. We had an infestation of bed bugs. Pest Plus did a heat treatment which was fairly successful and then followed up with a pesticide treatment. After one year we are bed bug free. Fast service and good work. I have been with PestPlus for 10 years and they are always on time, the technicians are knowledgeable, personable and get the job done. VERY PROFESSIONAL AND PROVIDED QUALITY SERVICE TO HELP WITH TERMITE PREVENTION. We are very pleased with PestPlus Exterminating. Their service has been efficient, professional and effective. We recommend them highly. Great job! Quick response and thorough inspection. Will definitely be using PestPlus services if needed in the future. Very responsive to our needs. Always professional and clean. Treatments have been very effective.